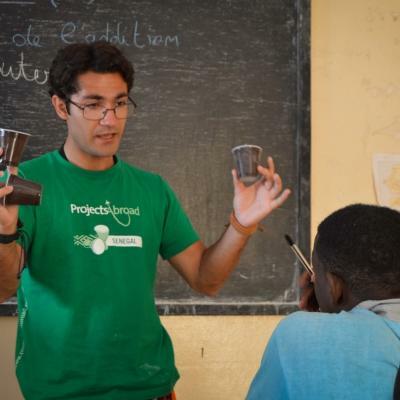 Volunteer in Senegal and take part in projects that are designed to meet the needs of disadvantaged local communities. You’ll experience life in this vibrant and diverse country, while focusing your energy on something that really matters. There are many volunteer opportunities in Senegal, so you’re bound to find something that suits you. For example, you can support the educational development of vulnerable street children (known as talibés) by teaching them basic skills. Or, assist local entrepreneurs to grow their businesses and generate a sustainable income. Whichever option you choose, you’ll receive 24/7 support from our local staff. We take care of all the details, so that you have a hassle-free experience. You’ll be based in the town of St Louis. During your time off, there’s plenty to explore, from national parks with incredible wildlife to the vibrant local music scene. 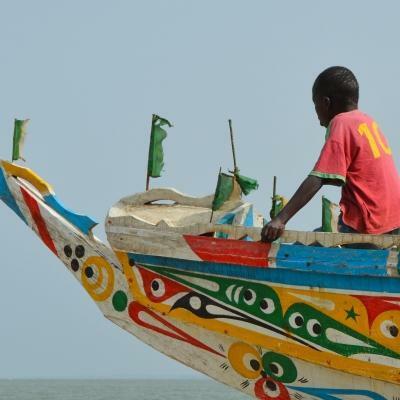 With bustling cities and traditional villages, Senegal is a feast for the senses. Moctar first joined the team in Senegal as a French/English translator, but he soon fell in love with Projects Abroad and took over as Country Director in April 2007. Moctar used to work as a local English teacher and he remains a key link between the local community and schools of St. Louis and the volunteers. Fina joined the team in November 2008. She is originally from the capital city, Dakar; however, she has lived in St Louis for the last four years as she was studying at Gaston Berger University. She has a Masters Degree in Applied Foreign Languages (English and Spanish) with a module in Tourism. Fina enjoys reading, listening to music, watching TV and cooking. Habib, who is known as Boms, comes from Dakar and has a BA in Computer Sciences. He likes organising cultural events, going to the beach and playing the Djembé (African drum). He hopes to welcome you all in Senegal very soon and show you the best of the Senegalese 'Teranga' (hospitality). 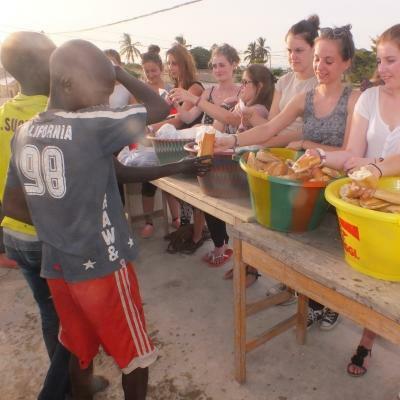 While doing volunteer work in Senegal, you’ll be based in the town of St Louis. It’s around a four hour drive north from the capital city Dakar. Senegal is a former French colony, and St Louis is perhaps the most “French” of all the towns, with colonial architecture, patisseries, and shaded streets. Apart from its national parks and beautiful beaches, St Louis also has many interesting museums and historic sites. It’s particularly famous for its cultural events and music festivals, so if your trip coincides with one of these, you’re in for a real treat! When you arrive at your respective airport, a member of Projects Abroad staff will be there to meet you. You can find more detailed information on arrival airports, orientation, and visas on our Senegal Arrival Procedures page.